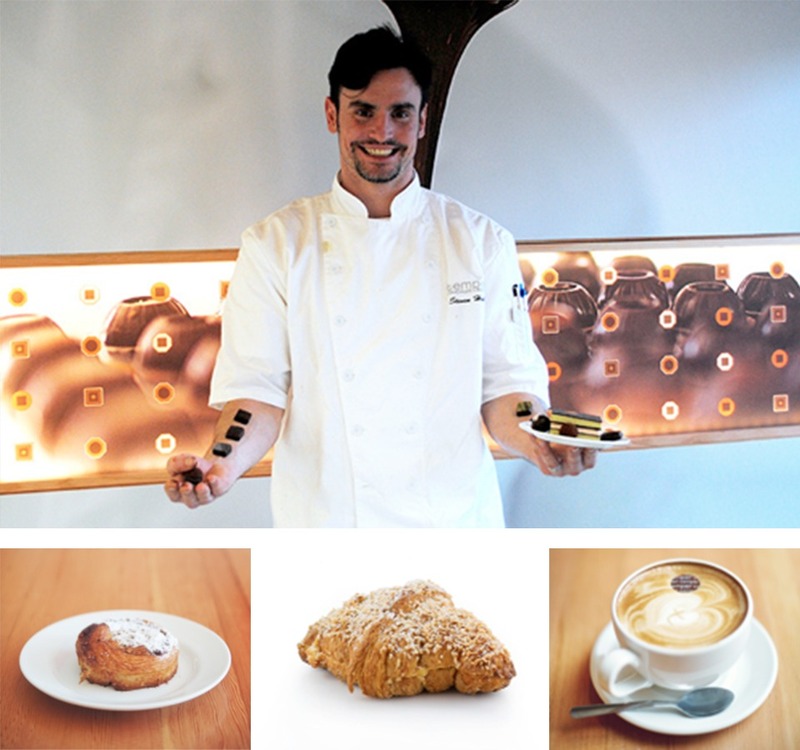 This week’s spotlight is on chef Steven Hodge, the chocolatier and culinary mastermind behind Temper Pastry and Chocolates, a gourmet chocolate pastry shop tucked away in the picturesque village of Dundarave, West Vancouver. 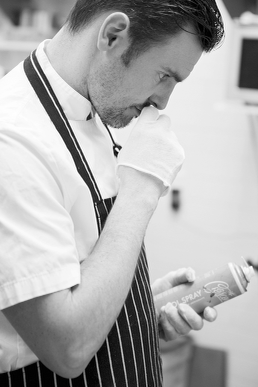 An extremely driven and talented pastry chef, Chef Hodge’s constant drive for innovation and perfection has fuelled his success to date. 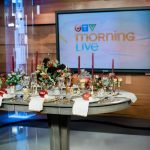 Having worked and studied internationally for over a decade, Steven brings some of the finest and richest sweet creations to Vancouver. His journey began when he moved down to California to study a Bachelor’s degree in Business Administration. He then developed his mastery in patisserie and chocolate at the California School of Culinary Arts, and went on to advance his craft all over the world. He’s studied at the famous Dominic’s Restaurant in West Hollywood, learnt from sugar art team Patrice Cordier and Dominique Jerry in Vancouver, and further bettered his practice across the pond in England. 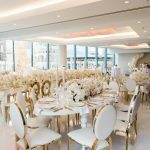 He spent three years working at Le Caprice, Royal Hospital Road and Gordon Ramsay’s 3 Michelin Star restaurant, which just so happen to be some of the finest eateries in London. In 2008, Steven and his lovely wife Lara returned to their roots in Vancouver. 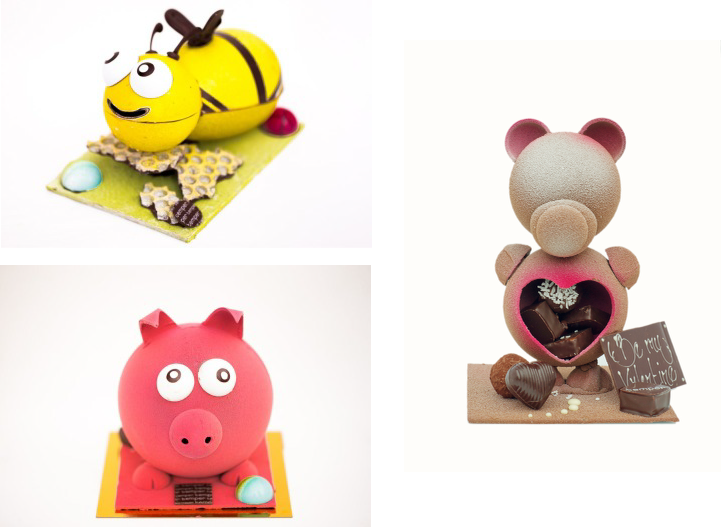 It is then that Steven began working with renowned pastry chef Thomas Haas. There, Steven fine-tuned his exceptional culinary skills. Not long after, Steven was ready for his next endeavour – opening his own pastry shop. 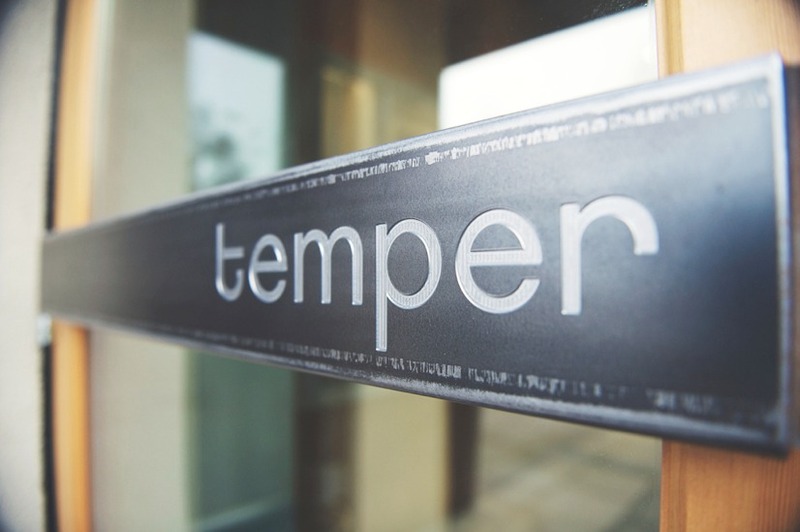 Temper Pastry was born in January 2014 and has thrived ever since. 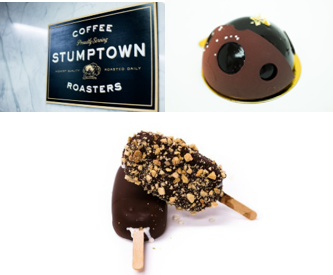 Offering handcrafted chocolates, melt-in-your-mouth desserts, a selection of gourmet sandwiches and roasted Stumptown coffee, Temper Pastry never fails to impress. 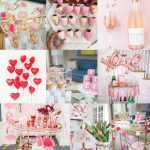 Their space is modern, simple and sleek, drawing focus to none other than their award-winning, European chocolates and exquisite French pastries. It doesn’t stop there either. Temper Pastry is also a huge advocate for supporting the community. Steven sources all of their delightful fresh meats and cheeses from the neighbouring Sebastian &amp; Co Fine Meats Ltd. 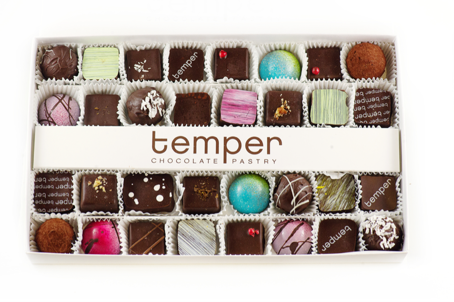 Temper Pastry was nominated for the Best Business Award by the West Vancouver Chamber of Commerce in April 2015, and also won accolades at the 2014 International Chocolate Awards (their chocolate enrobed, liquid caramel “Salty Balls” won a gold award, they’re a taste sensation). Steven brims with passion for his work. You can sense his dedication and love for his work within seconds of walking into Temper Pastry. Everyone who meets him feels this, and no doubt, he will soon be known as one of the best pastry chefs in the world. His commitment to what he creates is second to none. Temper Pastry’s delicious croissants actually go through a three-day process, including a 17-hour polish (pre-ferment) and 24-hour dough. 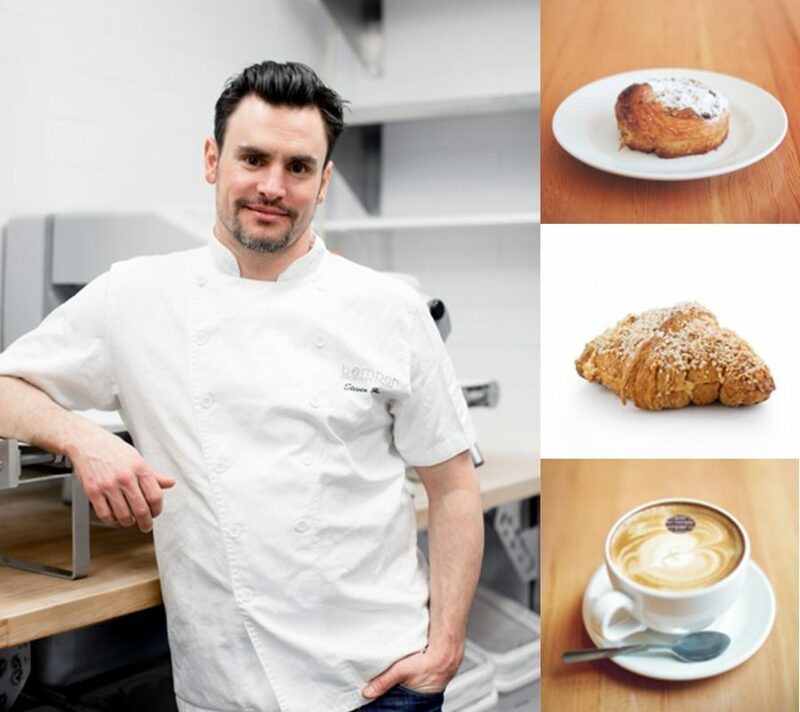 The philosophy at Temper Pastry is simple – Chef Steven Hodge wants every single guest to encounter an experience that leaves their taste buds longing for more. And boy, it does just that. 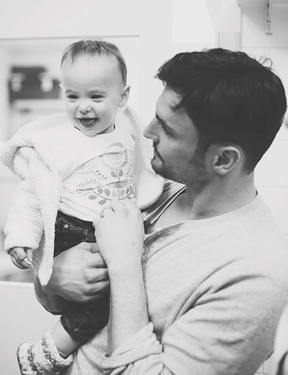 Steven, and beautiful wife Lara, have an infant son, Levi, and a 3-year old daughter, Charlie (the scrumptious cinnamon bun called Charlie Bite is named after Hodges’ first-born).